"Why aren't your bows going the same direction?" bellowed Mr. Harris, Lakewood High School band and orchestra conductor, as he threw a chair across the room. The second violins avoided making eye contact. I shifted uncomfortably in my seat. At 16 I'd already been playing violin for 8 years, and thought my bow had been following the rules. But could I be sure? As second chair, first violins, it was my responsibility to lead by example, but Bachs' Tocatta in D Minor goes by in a flash, and sometimes a bow has a mind of its own. "Again," Mr. Harris announced. We didn't play flawlessly that time, or the next, but we grew to love Mr. Harris and his sudden outbursts. He played our orchestra like a perfectly tuned instrument, with low bass notes of frustration balanced with a tone of humor. When we finally performed, it sounded like the voice of slightly-out-of-tune-because-we-were-in-high-school angels. Thanks to Mr. Harris, I have a profound fondness for classical music. I enjoy the melody as much as I enjoy watching the conductor's hands dance, conjuring the down beat into existence rather than strictly forcing it, like a metronome, into orderly structure. At the NY Choral Society's performance of Bach's Mass in B Minor, conductor David Hayes crafted new worlds through gestures both subtle and grandiose. Over 100 singers and musicians followed him with not a single bow out of place. Through the quiet, gentle, and beatific sounds, I found myself remembering slight nuances of playing in high school orchestra. My biggest challenge was always keeping my bow in a straight line, running precisely aligned in the space between bridge and fingerboard. My teacher would run drill after drill to correct this bad habit that left notes skittering or weakly intoned. And of course, every violinist, violist, cellist, and bassist at Carnegie Hall had perfect bow placement. That's where drills will get you, if you run them enough that your family covers their ears asks, "Please, can't you stop long enough to eat dinner?" Touted as Bach's "greatest and most complex musical achievement," I find it difficult to disagree, but disagree I do. I personally think his greatest achievement was Minuet from "Klavier Suite in G minor", BWV 822, which is the 13th song in Suzuki Violin School: Violin, Vol. 1. Thousands of aspiring musicians are trained with the Suzuki Method at a young age, and one tenet of the school is that "Children do not learn a word or piece of music and then discard it. They add it to their vocabulary or repertoire, gradually using it in new and more sophisticated ways." By learning simple motifs by classical giants such as Bach at the very outset of learning an instrument, more sophisticated Bach pieces are adopted with ease. Many people can write complicated music. 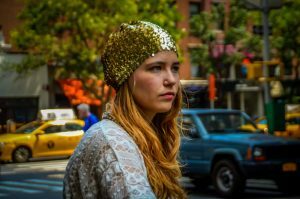 Fewer can write music simple enough that it can be adapted for children, and complex enough that it can lift to the heavens at Carnegie Hall and transport us all to euphoric auricular bliss. Bach did it all, and I feel fortunate that his legacy lives inside my fingers, though they haven't touched a string in over a decade. 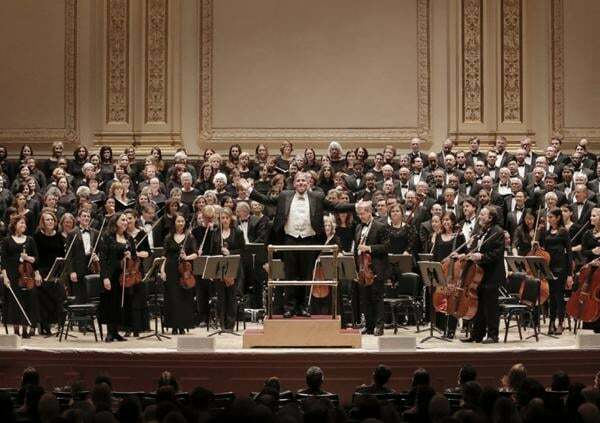 If you want the classics, the giants, the monoliths of western music performed with graceful, serene, and moving interpretation, you can't do much better than the NY Choral Society playing Bach at Carnegie Hall. Good seats at Parquet H6 (house right). Shallow theater, and balcony seats would be better in my opinion. In the Parquet you can only see the first layer of musicians. Tickets given by a friend who secured them on Audience Extras.